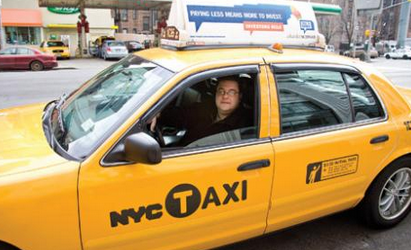 Why are cab drivers often called ‘hacks’? Answer this question on TaxiFareFinder’s Facebook page for a chance to win a TFF t-shirt! Real Seattle Taxi, a blog based out of Seattle Washington, is written by the witty and spirited Joe Blondo who began driving a taxi twenty-six years ago. His blog reflects his thoughts while on the job, from topics ranging from the taxi industry, interesting passengers or events in his home city. Get a truly unique point of view and take on the life of a cab driver through Real Seattle Taxi blogger, Joe Blondo. Taxi drivers come from all kinds of backgrounds. What is yours like? How long have you been driving a taxi and how did you start? I was anointed at a young age to be my father’s relief driver during our various ramblings around both the US and Canada. First in New Mexico, then in Alberta I learned to drive in our cream-colored 1952 Dodge Cornet. By the time I was 14 I had a learning permit which allowed me the freedom to co-pilot the Dodge up and down the rural byways. Growing up, my father was a taxi driver in between professional jobs, first in Toledo, Ohio and then in Denver, Colorado. Based on his stories while on the job, I can assure everyone that the taxi business has certainly remained the same. I started as a taxi driver in the autumn of 1987 quite accidentally. At that point, my life was in upheaval as a pending divorce threatened my sanity. I had a good job as a psychiatric case manager so money wasn’t an issue. 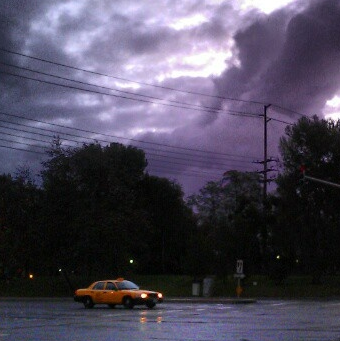 I had just arrived back in Seattle from a short poetry reading tour when I flagged down a taxi. We had gone barely five blocks before he asked, “Do you want to drive a taxi?” “No,” I replied, “I don’t.” Anyway, I took the character’s card and upon reconsideration I started driving on weekends. The rest is history, personal taxi history that is! What is Seattle like to be driving a taxi in? What is something you love about your city? 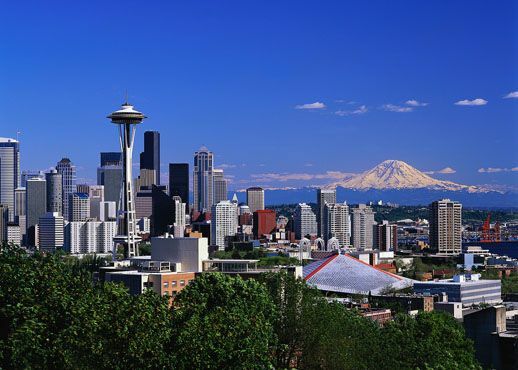 Seattle is a gateway city to both the State of Alaska and the Far East thus transforming a medium-sized city into what I term “a real taxi city.” You can make big taxi money if you put the hours in. However, navigating your cab down the streets here can be painful as Seattle drivers are “out-of-control-in-slow-motion!” There is a unique driving style here to say the least and it is frustrating, very frustrating. 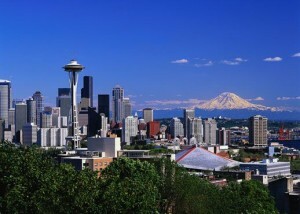 And one of my favorite aspects of Seattle has to be the parks; the city has beautiful parks! It’s great to hear. You know Seattle’s calculator is one of our busiest pages. So you blog while not on duty. Why? Was there a specific moment or reason that you decided to share your experiences as a taxi driver? My main motivation to begin blogging was to communicate to the world an unblemished description of taxi reality, not as presented in some kind of myth or comic book reality. Not “Cash Cab” or “Taxi Confessions” or similar silliness. My blog reflects the truth behind the taxi industry and not just in Seattle. You could change the name to any other city and the stories would all be similar. I present factual taxi: the good, the bad and the insane. Also, my girlfriend Laura kept bugging me to begin one, so it is all of her fault! She knew I held some opinions regarding my experiences on the job. You describe countless encounters with passengers in your blog, is there a single experience that always stands out as the most memorable? Favorite? Worst? How to choose…but long rides is a good place to begin. My first really long ride is nominated as my favorite. It was Christmas Eve 1989 and I was sitting on the Greyhound stand. A man comes up and wants to go to Vancouver, BC, Canada. All flights are grounded and he wants to get home. I asked if he would be opposed to picking up my girlfriend and he had no qualms, so I swung by my house to grab Laura. From here we headed north to Vancouver, driving through a thick ground-laden fog. After dropping the fellow off, Laura and I shared a lovely Christmas Eve dinner in Chinatown in Vancouver. It was wonderful! The worst encounter I have had was with one especially angry woman. I picked her up at a hotel and she asked to be brought to a residential area, a huge suburban area southeast of Seattle. The weather was terrible, a miserable rainstorm, yet somehow the weather inside of the taxi was much worse. The woman questioned my navigational skills and inserted choice commentary for the duration of the ride. Finally, through all of the commotion, we arrived at the destination and she sarcastically commented that I should try another occupation. I replied by telling her that I had a new book coming out and would be happy to send her a copy. Needless to say, she quickly handed me a twenty and exited the cab. Taxi drivers are full of great wisdom. Can you share with us some? What is one lesson you may NOT have learned if you were not a taxi driver? One piece of wisdom I learned while working as a taxi driver is: 99% of the human population is generous and caring, but watch out for the remaining 1%, they are trouble! One thing I have learned beyond anything from taxi driving is humility. Driving a taxi is a very humbling experience. The main reasons being: how challenging it is to find the money, avoid the ever present idiots behind the wheel and remain sane and courteous with your passengers. It isn’t easy. Quickly your temperature will rise. Never again will I think I am “Mister-Top-Of-The-Mountain” as at any moment I can be in engulfed in an avalanche. Humbling I assure you. We couldn’t agree more regarding the 99% comment. It’s the 1%. … You are active and outspoken in the taxi community. What do you see as the biggest change that needs to occur in the industry? The biggest change required is a change in attitude. Another problem is the fact that the professional lease-driver is indispensable to the industry. And finally, another is that governmental bureaucracy, municipal, county and state must recognize how important and vital the taxi industry is to the overall transportation infrastructure. Once attitudes change, everything else will follow suit, and become balanced, not lopsided as most everything currently is in the taxi world. What do you think is the most common misconception about taxi drivers? I feel that many people believe taxi drivers are little better than criminals, miscreants prepared to do you harm. They believe we are driving a taxi because we cannot do anything else or because the job is just driving a car which anybody can do. What does the future look like for you? Are you planning on continuing to drive? …and write? Unless someone starts paying me, I will be resigning from all of my taxi political activities in June after my second full year on the Seattle & King County Taxi Commission ends. It has become a third full-time job. Since I have only one body I am having difficulty completing all my tasks. I plan on continuing my weekend taxi gig until the best possible alternative occurs: I get a viable book contract. I am working away at a memoir of my youth, “To Age 13” and a novel, “Flat Tire.” I call them “money projects” because they are just that, written and focused to be popular. Though writing much of my adult life I have almost never submitted anything, at least not directly, letting my publishing happen accidentally. It is a good way to remain a taxi driver though, I am not complaining. There is always something crazy waiting around the next corner. Madness, here I come. We would like to thank Joe again for all of his time and effort, we truly appreciate your support. 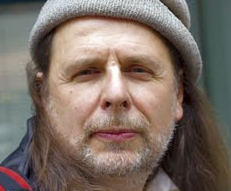 You can find the complete collection of his stories on his blog at: http://realseattletaxi.blogspot.com/. Check out his last book Caught Between Cultures: A Story of Milton Wan & Vietnam, published in 2010, which can be purchases on Amazon. To enter, please visit our Facebook page here. 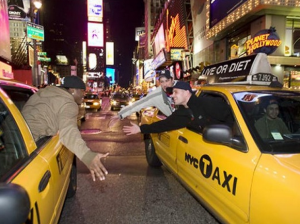 The winning caption will receive a TaxiFareFinder t-shirt! On how to play and for official rules, please click here. 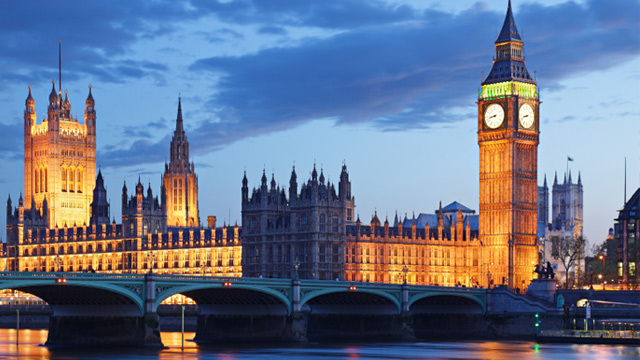 Although TaxiFareFinder has supported London for some time now, we have just recently released taxi fare calculators for twelve additional cities in the United Kingdom. We love the classic black hackney carriages and the respected drivers who must pass ‘The Knowledge’ test to hold a taxi license. 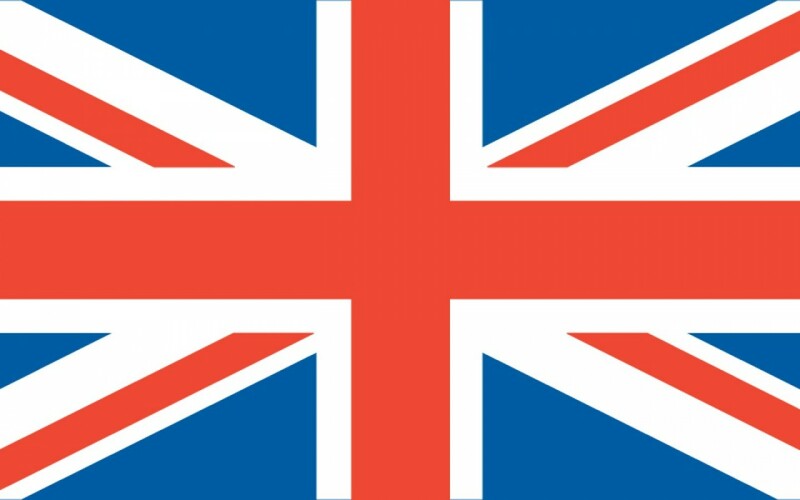 We are excited to be expanding further into the United Kingdom, but because our calculators are new and in the beginning phase, we appreciate feedback whenever possible. 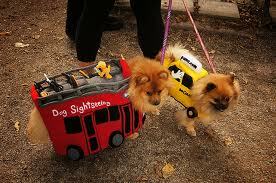 Have you checked out TaxiFareFinder’s Pinterest account? 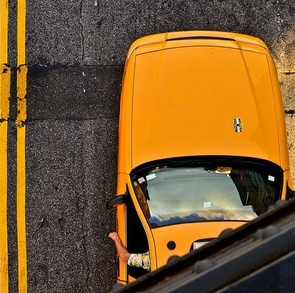 We have a huge collection of amazing taxi and travel pictures from all around the world. The hundreds of pictures on our page show the simple, everyday beauty of drivers, passengers, taxis and the countless magnificent places we can travel. Below is a view of a few of our pin boards. We have several main boards including: ‘Taxi Humor,’ ‘Taxis Back in the Day,’ and ‘New York City Taxi Love.’ Go to our page to view all of our different boards! Not sure what Pinterest is? Pinterest is an online ‘pinboard,’ so it is the online equivalent of a bulletin board where you tack random photos, thoughts and notes. 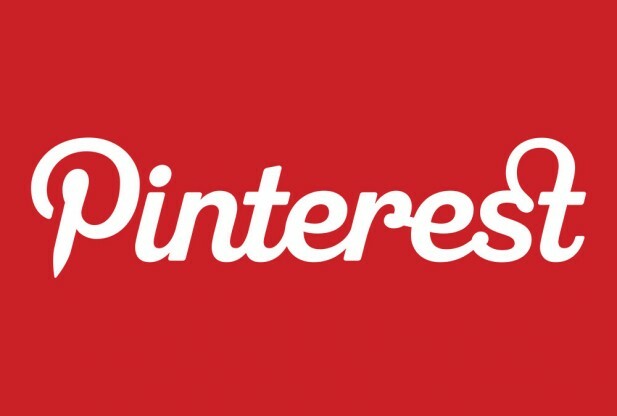 However, Pinterest is more organized and allows each user to create categorized ‘boards’ where specific ‘pins’ are placed, bookmarked and reviewed later. Users can search by category or user to find content that is interesting and pertinent to ‘re-pin’ onto individual boards. Check out this visuals-driven social media site for some amazing photos and ideas! 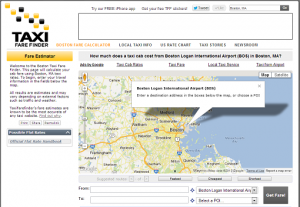 Boston, Massachusetts – March, 2012 – TaxiFareFinder has released instructions for businesses to create their own landing page. On the landing page, the visitors will see the business name and its location automatically populated on TaxiFareFinder, significantly making it easier to perform the fare calculation. What color are the classic cabs in London, England?